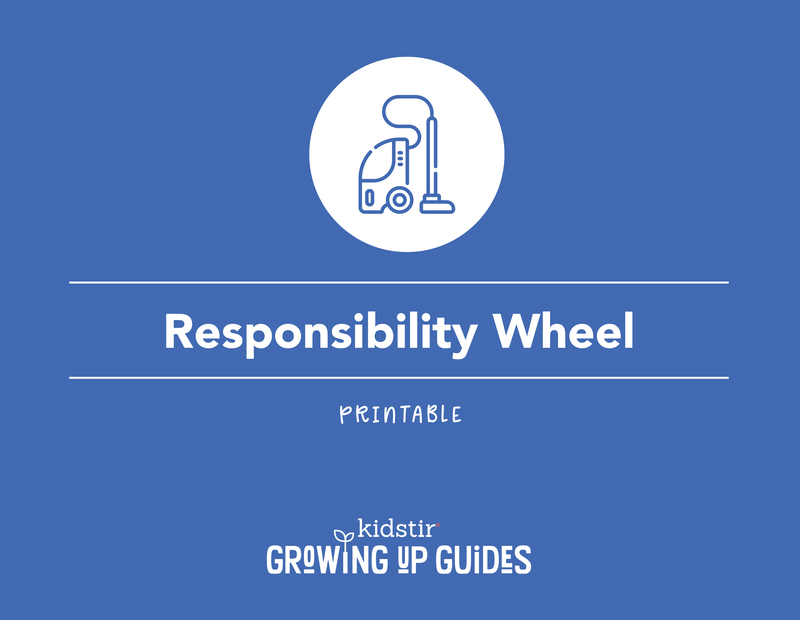 Using a responsibility wheel make it easy for kids to keep track of whose turn it is to do what. How often you spin the wheel is up to you: Some families rotate jobs each week, some monthly, some even quarterly! Download our template to create one for your little helpers. 2. On a piece of paper, have the kids write down who will be participating and the jobs that need to get done. Talk them over together first so everyone agrees. Aim for 4 to 8 jobs. 3. Cut out the circles. Poke center holes using a thumbtack. 4. On the smaller circle, write one name in each section. If there are only two of you, you each get two sections. If there are three, you can leave one section blank (be sure to leave that part of the large circle blank too). 5. On the large circle, write one job in each section on the outer ring. 6. Layer the circles. Thread a piece of string or thin rubber band through the holes. Knot on each side. If you’d like to make a wheel customized to the exact number of participants or jobs, use the patterned design on page two of the download or any other paper you like!